Black Milk had developed a following from fans of Lord of the Rings and Star Wars and the chatter on facebook showed our customers were into games. I pitched the concept via a quick sketch to the head designer and he was instantly on board. There were several iterations to create the final product which came together incredibly well. 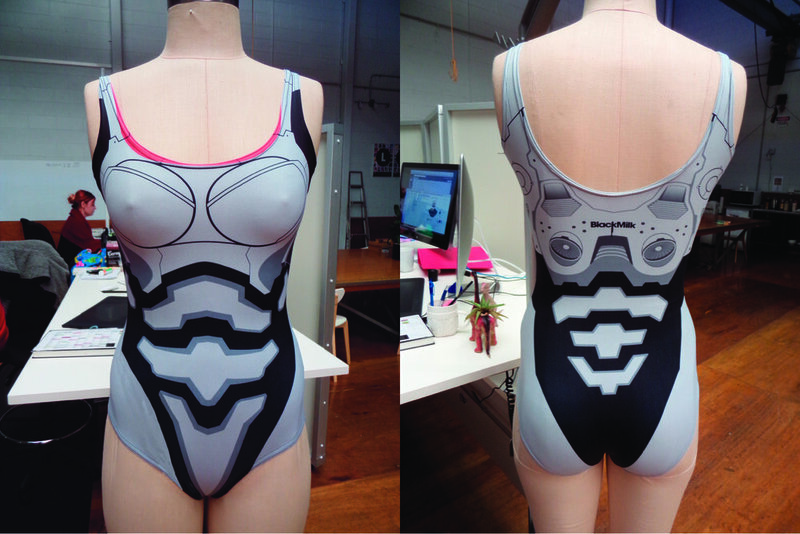 The images below depict the development process of the Mecha Swim. The shapes and panels were defined in Illustrator and the paint, texture, weathering and lighting were added in Photoshop. 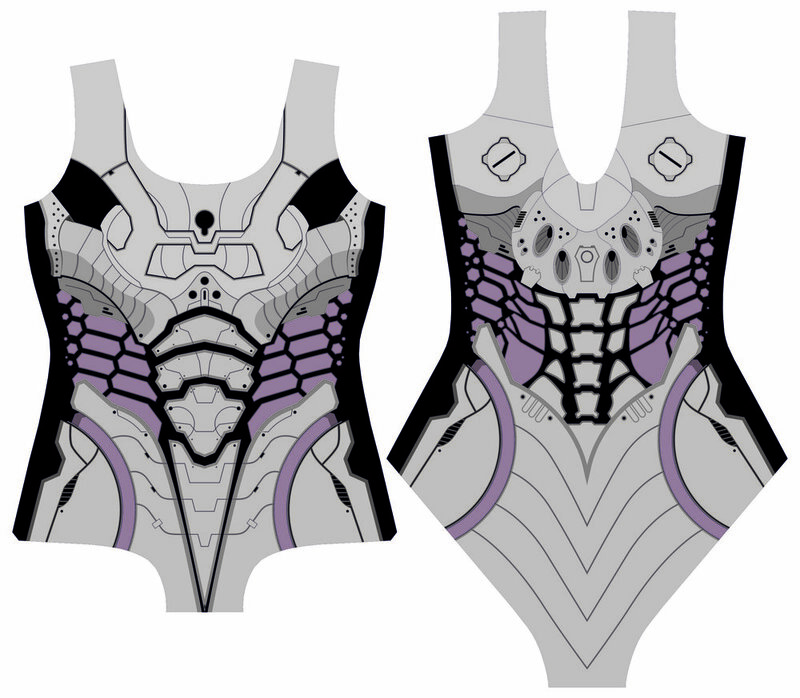 After the success of the similarly designed mecha leggings I was super eager to follow up with a swimsuit. As with the leggings the design process included numerous steps in both preparation and iteration. The bar was set very high internally as the piece had to look realistic, highly detailed, and the artwork had to align across both large side seams. Ultimately the product was a success and connected well with Black Milk's large geek/gamer customer base. After release, customers shared images of themselves wearing both the leggings and the swimsuit together which ignited an online campaign to create their dream product, a mecha long sleeved catsuit.